Almost two years earlier, the four musicians of Van der Graaf Generator had already played with the idea of getting back together again. When Peter Hammill had a heart attack in 2003, he was not the only one feeling the urge to get that planned project to finally happen. “There had been a strong feeling of unfinished business”, David Jackson remembers. The here documented on DVD and 2CD gig at the Jazzfestival in Leverkusen – the only one in Germany – was meant to be the climax of the reunion-tour in 2005. 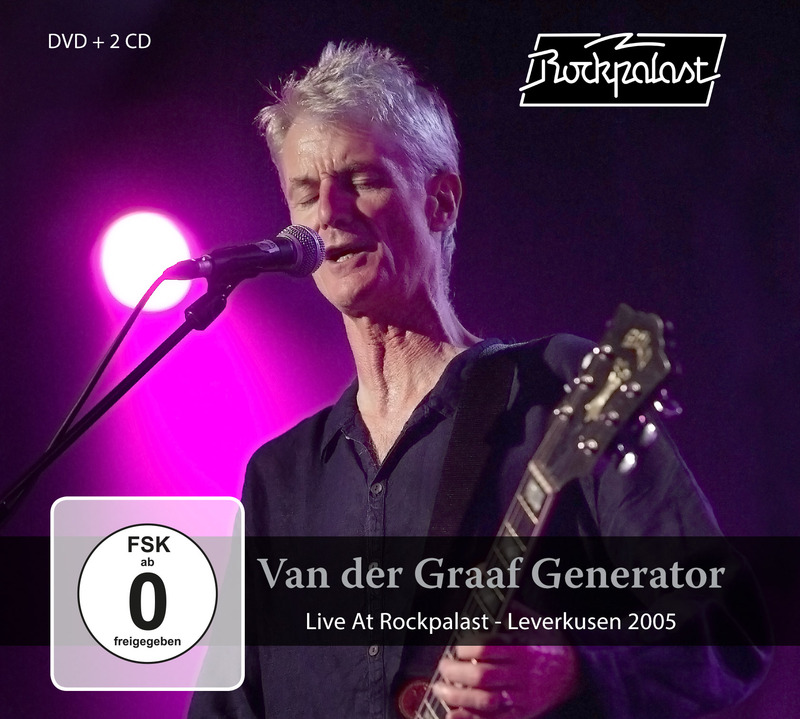 “We knew that it was going to be filmed and recorded professionally: something that was extremely rare in the history of “Van der Graaf Generator”. Up to this point in our career, a film of a whole live concert just didn’t exist!”, according to Jackson. There had indeed not been a video recording of an entire “Van der Graaf Generator” concert by then. “The Leverkusen concert came near the end of our 2005 reunion touring, by which time we were feeling comfortable on stage again”, Hugh Banton recalls. Guy Evans raves about the intimate connection that was built with the audience during the concert and helped making it a very special night; not least because it was Peter Hammill’s 57th birthday. The first gentle flute notes of the opener “The Undercover Man” opened a door into the past. Now, Van der Graaf Generator played as energetically, dark and seductive as in their zenith in the mid 70s. Peter Hammill’s voice was as powerful as ever which is very much outstanding regarding his eccentric, headstrong but most importantly emotional vocal style.